This week was a tough one. I have been listening to a lot of things this week, new and old, but I think I have come to a decision. As far as the new album goes, I’ll have to go with Sigur Rós – með suð í eyrum við spilum endalaust (with a buzz in our ears we play endlessly) read my review here. 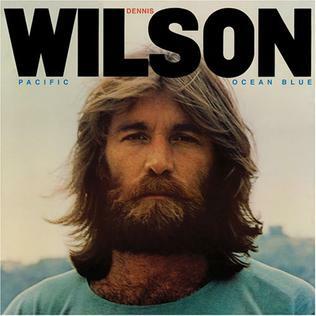 For old, I think I’m gonna give it to the recently reissued Dennis Wilson album, Pacific Ocean Blue. A departure from, yet still drawing stylistically from, The Beach Boys, the other Wilson takes on a role of his own. Writing gloomy and dark songs that display a rough on the edges, weathered Beach Boy singing dramatic, yet powerful melodies, to music similar to that of Brian Eno’s Another Green World. And just look at that mug . . . This entry was posted in entertainment, music and tagged dennis wilson, pacific ocean blue, reviews, sigur ros. Bookmark the permalink.